On September 24 + 25 Pilgrimage Music & Cultural Festival will be transforming The Park at Harlinsdale Farm into an oasis of music, food, and culture set against the natural amphitheaters and vistas of this former walking horse farm located in Franklin, TN. 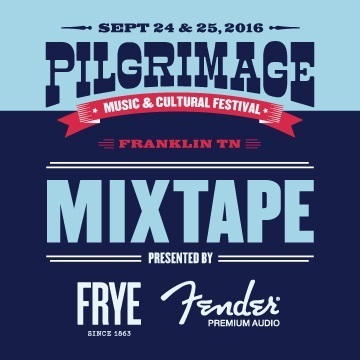 Come see why Rolling Stone says Pilgrimage has "established itself as a festival to watch." Enjoy this exclusive mixtape featuring Shakey Graves, CAKE, Daryl Hall and John Oates, Blind Pilot, Better Than Ezra and others. Grab your tickets and #MakeThePilgrimage at http://pilgrimagefestival.com/tickets.